Saturday, April 6, from 10:00 a.m. – 3:00 p.m. at the Rimbey Community Center, Rimbey, Alberta. I will be there with Dreams Along the Way, I, the Woman, Planted the Tree: A Journey through Dreams to the Divine Feminine. Come in. Buy my book(s) and chat about the amazing power of dreams! Tuesday, April 9, from 7:00 p.m – 9 p.m at the Beaumont Public Library, Beaumont, Alberta. Come in, have a conversation about dreams with the author, have your book signed, or buy one! Have a chat about how dreams can make a huge difference in your inner world! 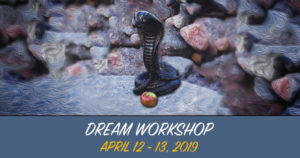 Dream Workshop: April 12 (evening) and April 13, 10:00 a.m – 4:00 p.m. Pre-registration required. Maximum 8 participants. If you haven’t already bought my book, I, the Woman, Planted the Tree: A Journey through Dreams to the Feminine, this is your opportunity! April 27, 2:00 p.m. – 4:00 p.m. New Sarepta Public Library, New Sarepta, Alberta. May 11, 7:00 – 9:00 p.m. Readings, sales and signing I, the Woman, Planted the Tree. Please email pgregor1@icloud.com if you plan to attend. That evening, I will renew old acquaintances with Chris and Rudi Grab at their Country Magic Nigerian Goats farm near Millet, Alberta. This entry was posted in Blog, News And Events and tagged ancient Mother, author, books, divine womanhood, dream stories, dream work, dream workshop, dreams, events, interpretation, night dreams and terror, readings, signing, the feminine.